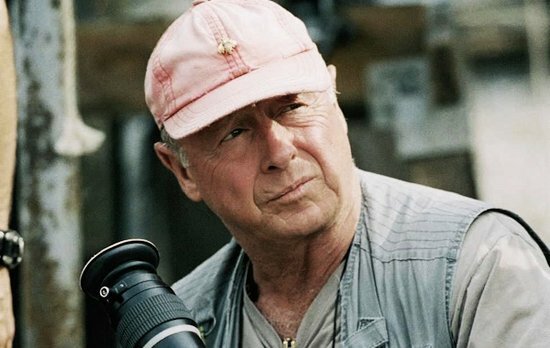 I awoke Monday morning to find a shocking message on my phone from Mr. V, telling me that one of my top five favourite motion picture directors Tony Scott was dead. I was devastated as this was both awful news and completely unexpected. Scott was born in England in 1944 the younger of three brothers, Frank Scott died of cancer in 1980 and his surviving sibling is acclaimed director Ridley Scott. Tony followed in Ridley's footsteps with regards to his education and initially wanted to become a painter, but the success of his brother making TV commercials made him change his mind and he joined Ridley's outfit. Scott made a commercial for Saab in the early 80's which showed one of the high performance cars racing a fighter jet. This caught the eye of famous producing duo Don Simpson and Jerry Bruckheimer who convinced a reluctant Scott to direct their little fighter plane movie. Top Gun went on to gross $176m cementing the producing careers of Simpson and Bruckheimer, making a star of Tom Cruise and catapulting Scott to the A-List of Hollywood action directors. Scott directed the Beverly Hills Cop sequel for Simpson and Bruckheimer which became one of 1987's highest grossing movies. In 1990 he directed the big-budget successful racing movie Days of Thunder working with Simpson, Bruckheimer and Cruise again and gave the scoring job to German composer Hans Zimmer who had begun to make a name for himself as well. A year later Scott saved the ailing career of Bruce Willis after his Hudson Hawk disaster by directing him in The Last Boyscout, a personal favourite of mine, written by Shane Lethal Weapon Black. In 1993 Scott directed what many regard as his crowning achievement. It is to say the least one of the most memorable movies of the 90's and furthered the career of it's quirky writer Quentin Tarentino perhaps more than it did Scott's. The $13m True Romance featured a star-studded cast including Christian Slater, Patricia Arquette, Dennis Hopper, James Gandolini, Gary Oldman, Christopher Walken, Tom Sizemore, Brad Pitt and Val Kilmer and another score by Hans Zimmer. While a critical success, the movie was a box office failure at the time. Before the end of the decade Scott directed both of what I think are is best movies. Again for Bruckheimer and Simpson, Scott directed the supremely talented Denzel Washington and the legendary Gene Hackman at the very top of their game in one of my favourite movies period - Crimson Tide. The submarine thriller was acclaimed as a war-movie with a difference as it excited intellect as well as a lust for action. It was nominated for 3 Academy awards for editing and it's score won a Grammy for Hans Zimmer. Scott re-teamed with Jerry Bruckheimer [producing solo now following the death of Don Simpson] and working again with Gene Hackman, directed the sublime spy-action-thriller Enemy of The State with Will Smith. Here he began working with Hans Zimmer's protégé Harry Gregson-Williams who continued to score all subsequent movies of the director's career. Despite portraying the efficiency and technology of US government intelligence to science-fiction proportions, nonetheless Enemy of The State was a thrilling and exciting chase movie that was a box-office success. At the turn of the century Scott's career took a turn that I wasn't overtly happy with. 2001's Spy Game is the last of his movies that I added to my optical disc collection. I would describe it as a little more realistic spy movie than Enemy of the State but despite good performances from Robert Redford and Brad Pitt, it's overall not as exciting as his previous offerings. The decision to not make any effort to either age [or youth] the characters over the course of the 16-year span of the plot is one that vexes me to this day. 2004's Man on Fire was also a well produced revenge thriller with an exceptional performance from Denzel Washington, but I felt that the pacing of the movie overall was more than a little off and not all the bad guys were killed at the end, but Washington's character was. Despite changing Tarantino's bleak ending to a happy one for True Romance, Scott chose not to do that here, using the book's non-Hollywood ending and ultimately failing. Scott choose to adapt two true stories into movies before the untimely end of his career. The first was the 2005 unconventional biopic on the life of Domino Harvey, the English born daughter of actor Lawrence Harvey who became a bounty hunter in L.A. Starring Kiera Knightly, the movie was both critically and commercially unsuccessful. I would regard it as "unmemorable". The other movie was Unstoppable, loosely based on the CSX 8888 incident in Ohio in 2001. Once again starring Denzel Washington as an almost retired railroad engineer, this time paired with a cocky rookie Chris Pine who have to do their best to stop a runaway train. This movie would be a commercial success in 2010 and the last movie Scott would direct. Scott's other movies included: The Hunger ['83], the thriller Revenge with Kevin Costner in 1990 and The Fan a sports-themed psychological thriller with Robert DeNiro and Wesley Snipes ['96]. Scott also directed Déjà Vu, a misjudged science-fiction movie again with Denzel and produced by Bruckheimer and the 2009 remake of the 1974 movie The Taking of Pelham One Two Three. Scott had become a prolific producer and executive producer in his late career mainly for television but for many movies, especially his own and those of his brother. Among such projects were Man on Fire, Domino, The Company, The Taking of Pelham 123, Numb3rs, the 2010 The A-Team movie, The Pillars of the Earth, Unstoppable, The Grey and Prometheus. He had over a dozen projects in different stages of pre/post production including Top Gun 2! Scott was nominated for 5 Emmys winning one along with the other producers of The Gathering Storm in 2002 and was awarded the Michael Bacon Award at the BAFTAs in 1995. I must admit to being somewhat angry. I cannot condone suicide as a course of action in this case. At the time I write, it has not yet been established if a rumoured diagnosis of terminal, inoperable brain cancer was the cause of Scott's decision to jump off Vincent Thomas Bridge over Los Angeles Harbor at lunchtime on Sunday. However illness or not, his apparent "decision" shows a clear disregard for those he has left behind especially his 12 year old twin boys who must now grow up with this social stigma.That said, if I can respect the acting talents of such reprehensible individuals as Mel Gibson and Tom Sizemore, I can most certainly respect the work of Tony Scott although I may not be able to respect the man. I read in an obituary on Fox News that Ridley Scott later directed "more and bigger hits than his brother and earned a level of critical respect never achieved by Tony Scott. "Gladiator" won the best-picture Academy Award for 2000 and earned Ridley Scott one of his three best-director nominations; Tony Scott never was in the running for an Oscar, and critics often slammed his movies for emphasizing style over substance." - and that's why I liked him. Why is that a bad thing critics? I enjoyed Tony Scott's movies for his adhesion to a frenetic but not nauseating camera style which seemed to focus on the depth of action rather than just the surface. His kinetic, choppy editing is very different from Michael Bay's but I like it for similar reasons. I also like the fact that most of my favourite movies of his end in a shootout and that's pretty much how I know my life will end, I only hope it's as dramatic.